If you worry about your Mom or Dad’s safety getting in and out of their tub or shower you’re not alone (being a 59 year old I can certainly relate to this challenge now with my Mom and in laws). Thanks to modern medicine it’s nice to know they’re likely to live longer – but it doesn’t mean the rooms in their homes or condominiums are designed for their current (and future) physical capabilities. 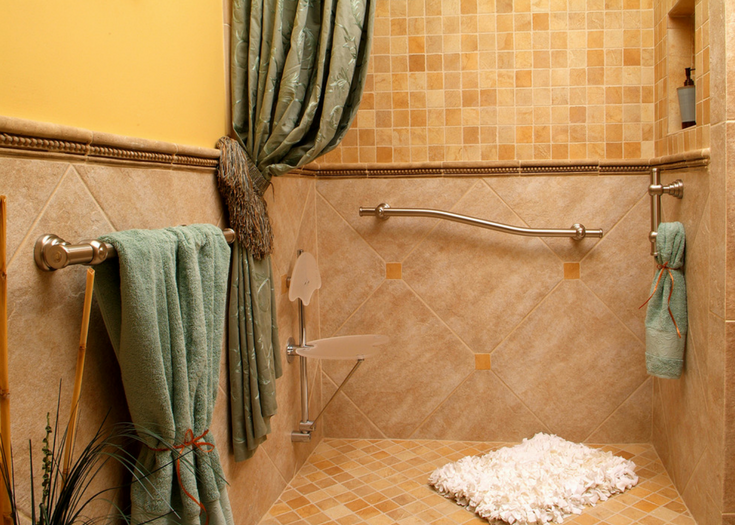 Roll in showers can be an excellent (and actually stylish) way to provide a safe and luxurious space to keep them in their homes. In the article below learn 5 practical tips to get the most function and style out of a roll in shower design. They no longer have to be institutional or ugly. 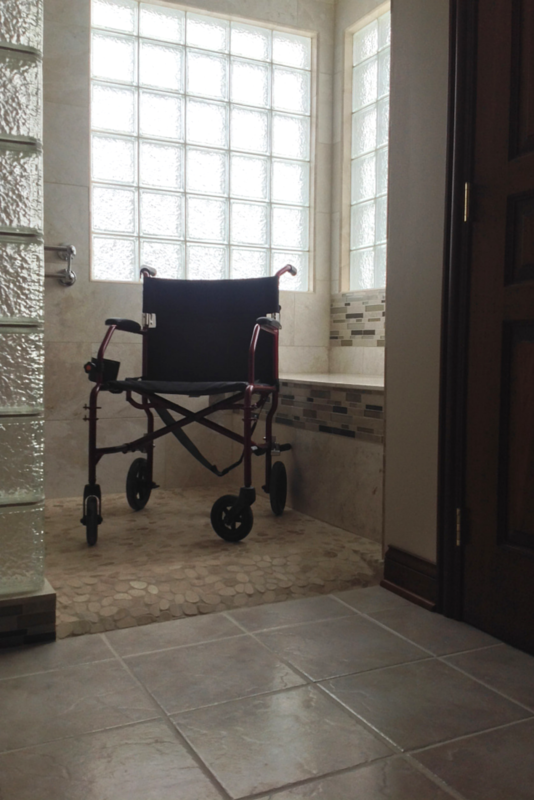 o Zero threshold formers – This base option makes a one level “wet room” with no ramps to travel over. It can create a sleek contemporary look. 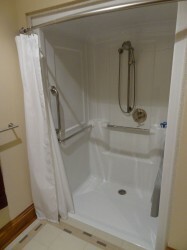 o Barrier free ready for tile shower pan – This “tile ready” waterproof base has a slight ramp at the entry of the shower and then is uniformly pitched towards the drain. Since it’s made of expanded polystyrene it’s light to move around during the installation process as well. o Acrylic or fiberglass ramped base – This will be the most cost effective alternative but it has the drawback on not providing the nicest look. In addition, acrylic bases have been know to flex when you roll into them. 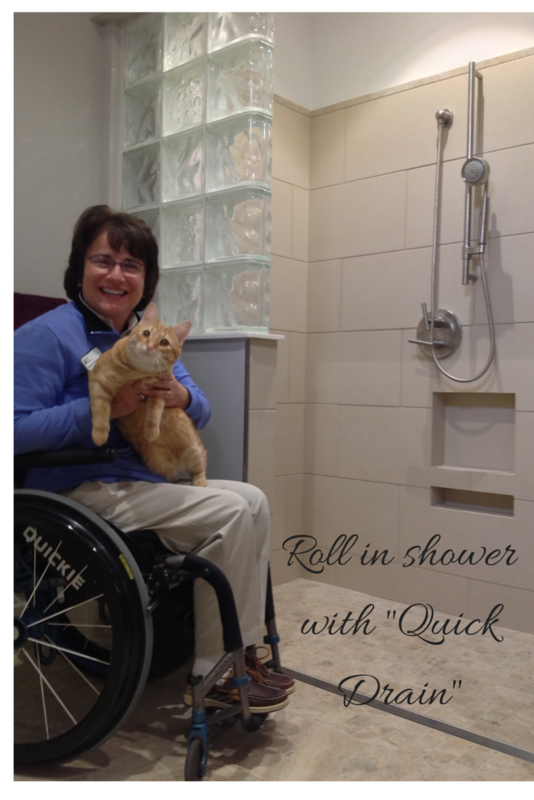 o Placing the shower valve at the opening of the shower so someone in a wheelchair can turn on the water without getting into the wet area (this tip is important for anyone who doesn’t want to get a blast of cold when getting into the shower). o Use a sturdy glass enclosure like a glass block wall or shower screen to move light while still providing a large enough opening to roll into. o If you use a shower curtain make sure it’s transparent enough to transmit the most light. o Create a one level “wet room” with wall mounted fixtures. This will create a more open space and will be easier to maneuver with a wheelchair or walker. 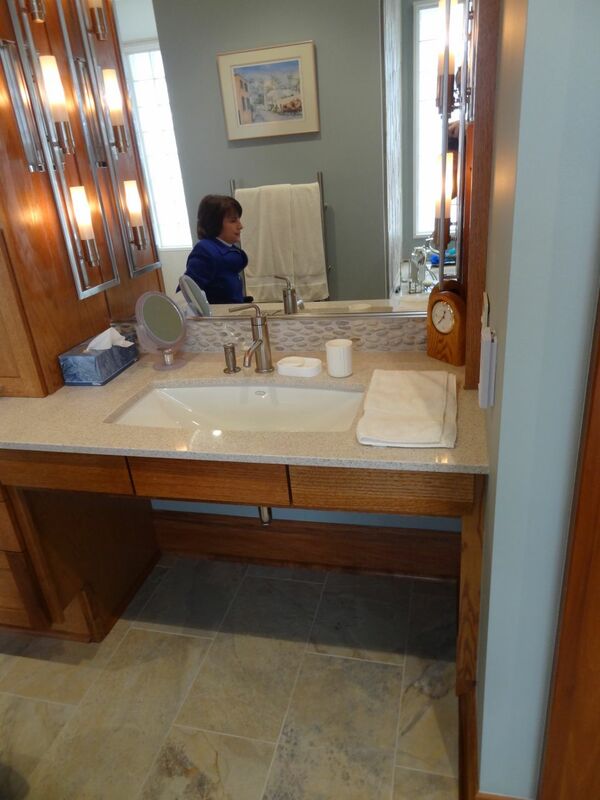 o Put in recessed soap/shampoo niches or medicine cabinets so there are less things protruding from the walls. o Use a fold down seat (consider using teak or Brazilian walnut if your budget permits). · Tip 5 – Remember safety, function and luxury are not mutually exclusive – accessorize with style! o Decorative grab bars – these can add a lot of interest and help transferring from a bench seat to a chair or walker. o Sleek linear drains – these drains do an excellent job moving water with a stylish touch. o Lever type handles – Knobs can be difficult for an elderly person to turn – levers look nice and are easy to use. Which of these 5 design tips are the most useful to you? Please comment below or call us to learn more about innovative roll in shower products or bathroom remodeling projects. If you need help designing a one level roll in shower contact us at the numbers below. 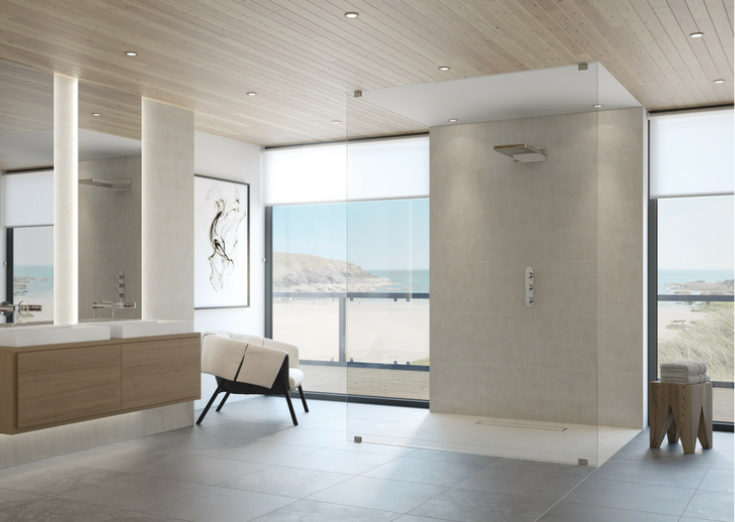 We’d love to help you with design and/or nationwide factory-direct products to make your bathroom a stylish success. 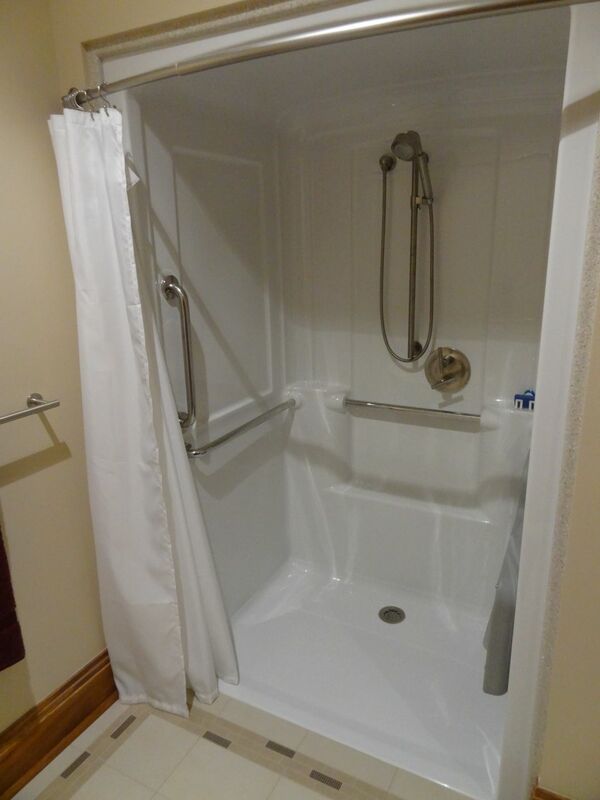 On a nationwide basis for roll in shower products call Innovate Building Solutions (877-668-5888) or for a local remodeling project call Cleveland Design & Remodeling 216-658-1270) or The Bath Doctor of Columbus (614-252-7294) or Cleveland (216-531-6085). 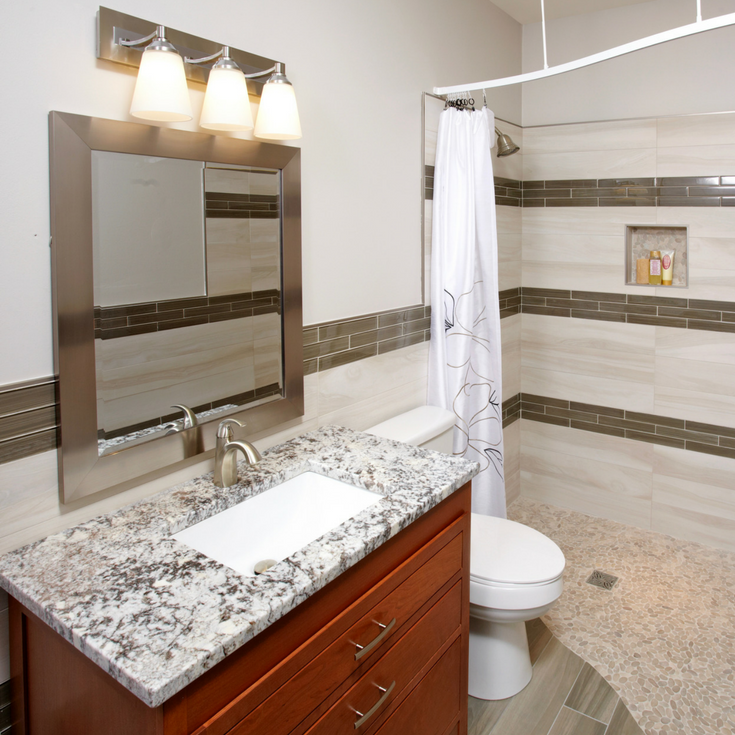 Wet rooms can use heated flooring underneath them. 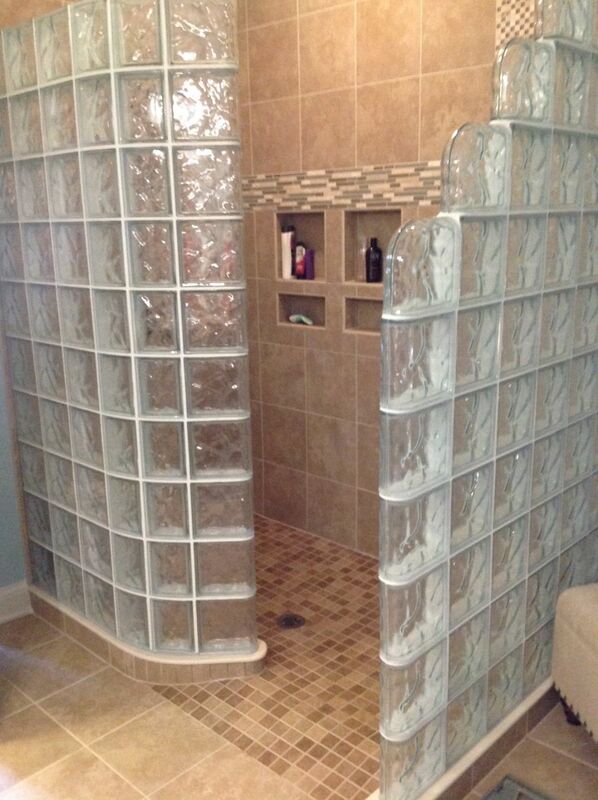 Regarding the glass walls for a shower they can be reinforced to the side walls or someone can consider using a sturdy glass block shower wall as well. I like the look of a wet room. How is it heated? Wet and cold is not good. 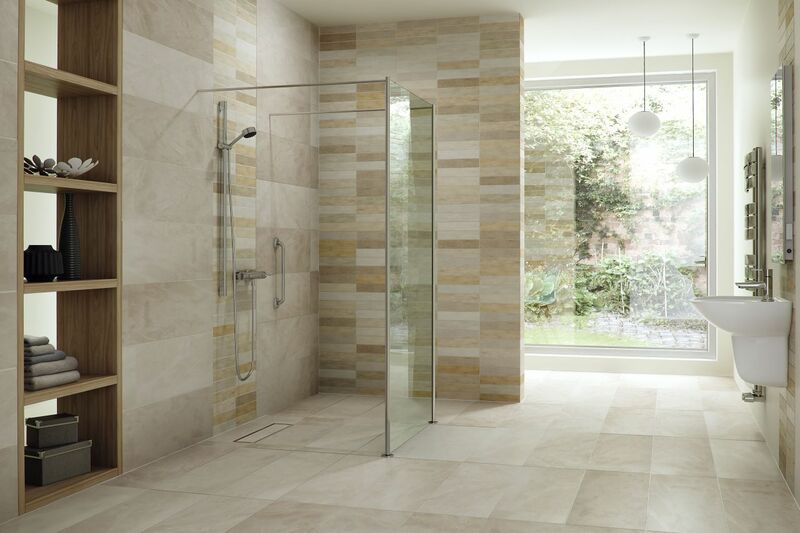 Are glass walls safe in an accessible shower? How expensive is it?. Have a look at the new AD Shower bases ADaptek: Roll-in and Transfer types..